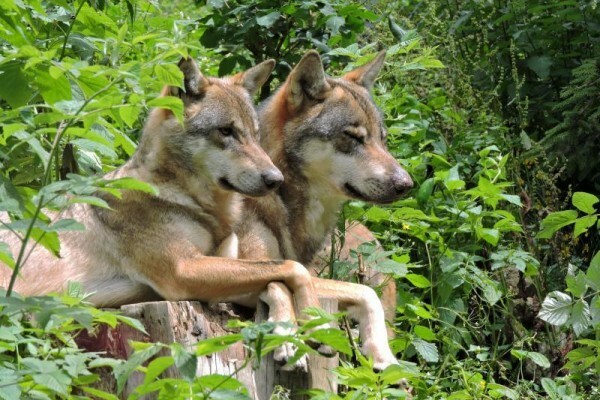 Located in the heart of the Mercantour National Park between Saint Martin de Vésubie and Boréon, the Alpha Park invites you to spend a morning in the company of a responsible wolf carer and specialist. During your intimate encounter with the wolves, discover all there is to know about the everyday life of a wolf-carer. The world and behaviour of wolves in captivity will no longer hold any secrets for you! Departure towards the "Temps des Hommes" (Time of Mankind) with one of the carers for a welcome coffee, followed by an exploration of the "Temps du Loups" (Time of Wolves), beginning with a tour of the enclosures. Presentation and observation of the different Alpha packs, including sessions of medical training. Preparation of feed rations in the laboratory. Observation of the Boréon pack's feeding from the entry lock. Participation in the carers meeting. Observation of the Erps pack's feeding in the company of the animal carers. You will have the afternoon free to explore the park. la réservation vous sera confirmée après vérification du planning des soigneurs et des soins apportés aux animaux, en cas d'impossilibilté une nouvelle date vous sera proposée. Dress warmly in winter (the park is often snowy). Line NICE / ALPHA, LES LOUPS DU MERCANTOUR from Nice. Head to the welcome chalet to exchange your confirmation tickets for entry ones.